UPDATE: See the post-visit post on this exhibit here. Yes, it’s true! 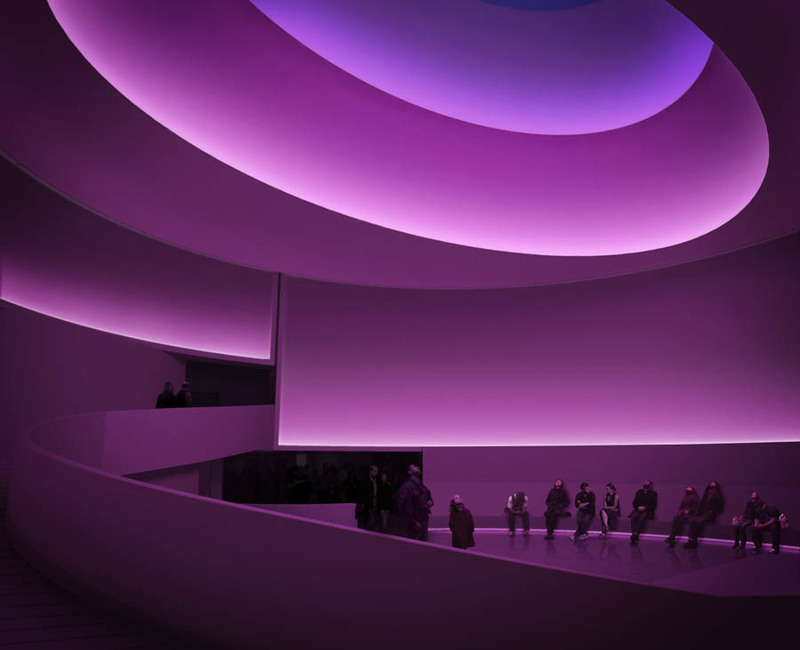 It seems like such a natural fit…Guggenheim rotunda… James Turrell skyspaces and skyscapes… but somehow it hasn’t happened until now. Well, not really now, but next summer: June 2013. This is James Turrell’s (previously here, here, and here…yes, I’m a fan) first exhibition in a New York museum, though he’s had exhibits at galleries such as Pace, in addition to the long-term and ongoing site-specific installation at PS1 titled Meeting, and the very cool installation in 505 Fifth Avenue’s lobby. 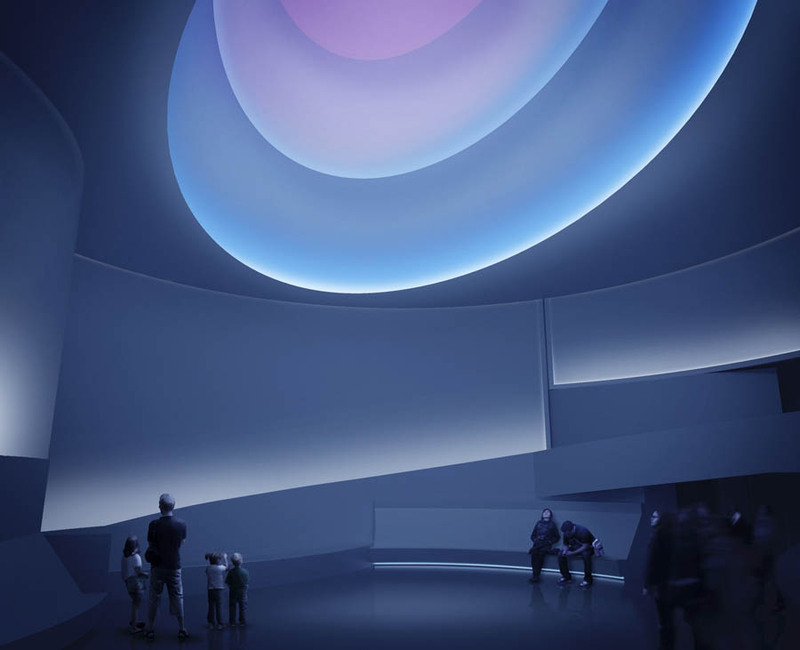 The top two renderings above give a pretty good idea of how the museum’s central void will look filled with Turrell’s signature style mood- and color-changing light in this new work. Other works from throughout the artist’s career will be displayed in the museum’s Annex Level galleries. 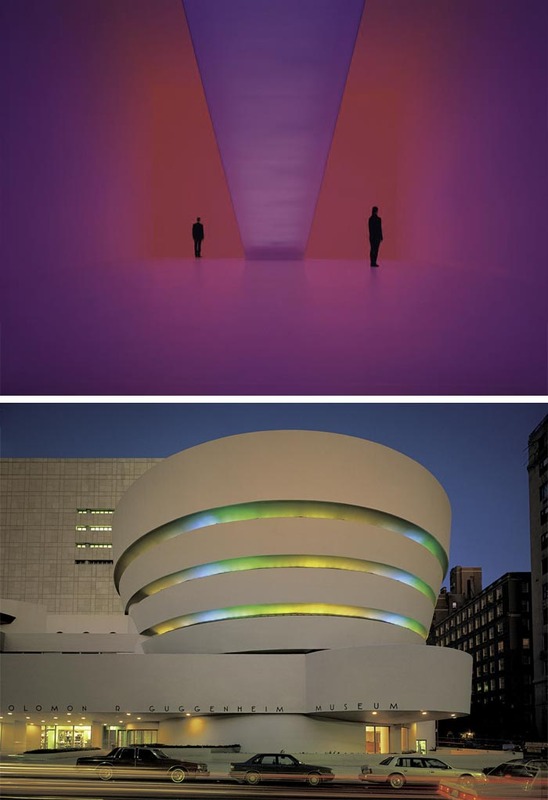 It should be noted that the bottom photo is not from the Turrell renderings, but rather a photo of the exterior taken years ago when the museum had their Dan Flavin exhibit. One can only assume that there will be a similar glowing effect (likely with a different color palette) from Turrell’s skyspace. James Turrell will run from June 21–September 25, 2013. This entry was posted in Architecture, Art, Event, Just Plain Cool, Light, NYC, Stuff We Like. Bookmark the permalink. Next spring Chestnut Hill Friends Meeting in Philadelphia will be opening a new meetinghouse with a Turrell skyspace.